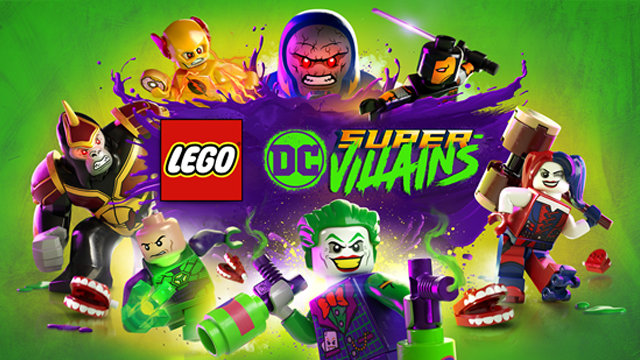 Warner Bros. has revealed a brand new story trailer for LEGO DC Super-Villains, the upcoming fourth game in their LEGO DC Comics series, which also includes the LEGO Batman trilogy. Apart from introducing more details on the story of the game, the LEGO DC Super-Villains Story Trailer also reveals a number of major actors who are returning to voice the characters they helped make iconic. There are, of course, classic voice actors such as Tara Strong, who played Harley Quinn in the game and who voiced the character in Batman Arkham City and Batman Arkham Knight. Other more well-known actors are also returning to voice their popular DC characters that they had previously played to in classic shows in both the Superman and Batman Animated Series. The first and most famous in DC circles is Mark Hamill, whose most famous live action role is Luke Skywalker in Star Wars. However, his voice is best known as one the most iconic iterations of The Joker. Actor Christopher Corey Smith played Joker in previous LEGO Batman games and actually voiced the character in the LEGO DC Super-Villains announcement trailer, but developer TT Games obviously decided to replace him with the better-known Hamill. Actor Michael Ironside has had numerous iconic roles on-screen in great movies such as Total Recall and Starship Troopers. In video games, he’s the gravelly Sam Fisher in Ubisoft’s Splinter Cell series, including in a recent Ghost Recon Wildlands DLC crossover. He’s also the sinister voice of Darkseid, the ultimate villain of the DC universe in the Superman and Justice League animated series, and he’s back playing the role in this game. Similarly Michael Dorn, who is beloved as the Klingon Lieutenant Worf in Star Trek: The Next Generation and Deep Space Nine, can be caught in the trailer returning as the voice of Darkseid’s son Kalibak. Rounding off the cast is Clancy Brown, known for movies such as Highlander and The Shawshank Redemption, but returning once again to voice Superman’s nemesis Lex Luthor, a role he has played on and off in various animated forms since the 1990s. You may also know him as Mr. Krabs from SpongeBob Squarepants. There are rumors of even more iconic voice actors returning to voice classic DC roles like Kevin Conroy reprising his role as Batman. The game is coming out for the Switch, PS4, Xbox One, and PC on October 19. While we don’t know for sure how it will turn out, we did like what we saw at E3.